Thank you for your interest in exhibiting or advertising at the annual Southwest Popular/American Culture Association Conference. Advertiser and Exhibitors are a vital resource for conference attendees, and we appreciate your role in providing opportunities, information, products, and resources to those who attend. Exhibitor space is limited, so register early (previous years have sold out completely) online registration is preferred, and coming soon. All exhibitors will be located on the second floor of the Hyatt Regency Hotel. Cost for additional tables in your exhibit $100.00 each. All exhibitors are asked to check in at the registration table to pick up name badges and to meet the conference organizers. Exhibit set up must be completed by 11:30 a.m. on the Wednesday of the conference. Although all reasonable security measures are taken in the exhibit area, individual booths and materials contained within are the responsibility of the exhibitor. Wednesday, 11:30 a.m. – 6:00 p.m.
Friday, 8:00 a.m. – 5:30 p.m. The Southwest Popular/American Culture Association uses and online conference program and conference app. We encourage all who are interested in sponsoring sessions/special events or opportunities for our presenters and guests to advertise your event in our conference program. All promotional advertisements must be PDF (high or low resolution) or .jpeg format if you have any questions contact Tamy Burnett, SW PCA/ACA Conference Coordinator/Treasurer at tburnett@southwestpca.org. What is the Hyatt Regency’s Mailing Address? How can we pay exhibitor fees? 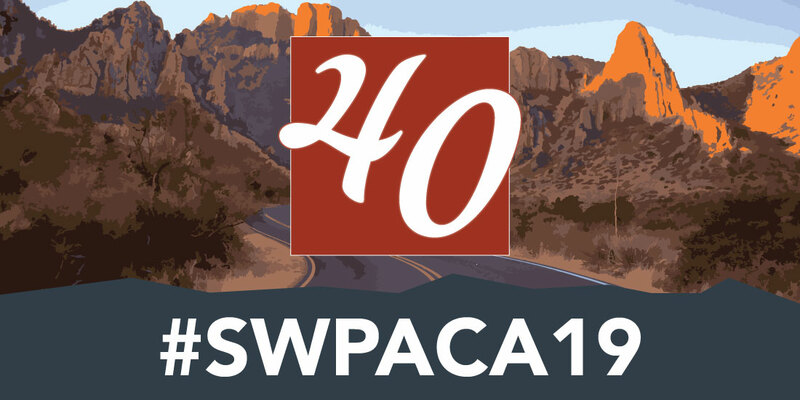 Visit our Conference Management System (http://conference.southwestpca.org) and register as an exhibitor (you will be asked to specify the number of tables when you register). You will be able to pay with a credit card. Please register by January 15 prior to the conference.